iHeartRadio and 94.9 The Bull have teamed up with Atlanta Motor Speedway to sponsor the live pre-race concert prior to the Folds of Honor QuikTrip 500 Monster Energy NASCAR Cup Series race on Sunday, Feb. 25. American country music singer/songwriter Chris Janson will headline the "Atlanta Motor Speedway Pre-Race Concert presented by iHeartRadio and 94.9 The Bull" near the start/finish line on the AMS frontstretch beginning at noon on Sunday, kicking off the main event of the 2018 Atlanta Motor Speedway NASCAR Weekend. A Perryville, Missouri native, Chris Janson was born to entertain crowds in venues of every variety - race tracks included. Janson's breakthrough No. 1 platinum single, "Buy Me A Boat," was the seventh-best-selling country song of the year in 2015. His most recent chart-topping tune, "Fix A Drink," from his sophomore album Everybody, hit No. 1 last November, while his current single, "Drunk Girl," is already earning acclaim from critics and fans alike. 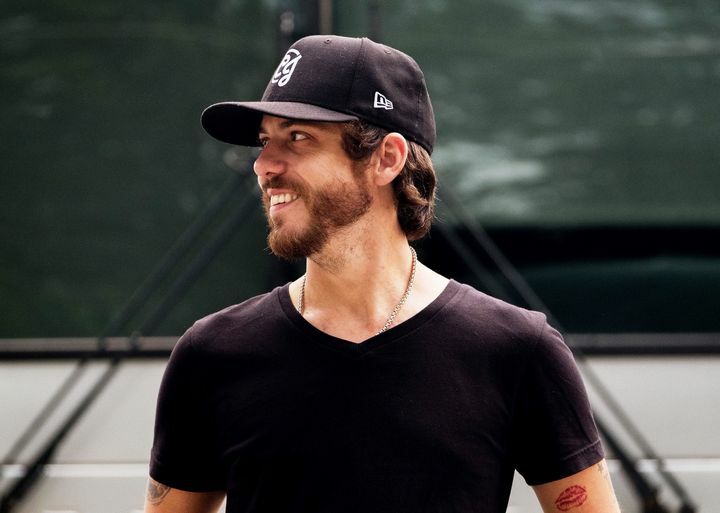 Janson has also penned multiple top-charting hits including "Truck Yeah" (Tim Mcgraw), "That's How I'll Always Be" (Tim McGraw), "I Love This Life" (LoCash), and over 25 other hits recorded by a long list of established artists. The breakout star has been nominated for multiple awards and won several, including two 2016 BMI songwriter awards ("Buy Me A Boat" and "I Love This Life"), as well as Country Song of the Year ("Buy Me a Boat") at the iHeartRadio Music Awards in 2016. "We are big NASCAR fans at our house," said Janson. "My son and father-in-law can't wait for this day! We look forward to coming to Georgia. Racing and country music together make for the perfect day!" The electrifying multi-instrumentalist is known as much for his hit songwriting as his "infectious" (Billboard) performances, with Rolling Stone describing him as having "a mesmerizing stage presence that most arena-headlining artists would kill for." In 2018 Janson will hit stages across the nation alongside Warner Bros. Records/Warner Music Nashville label mate and 2015 AMS pre-race concert performer Cole Swindell on the "Reasons To Drink Tour." Pre-race pit passes will provide stage-front access for Monster Energy NASCAR Cup Series driver introductions, as well as Janson's pre-race performance. In addition, pre-race pit passes will allow fans to tour the pit area and photograph the 40-car field up close and personal prior to the start of the race. A limited number of Sunday-only pre-race pit passes are available on a first-come, first-served basis for $100, while a three-day weekend pre-race pit pass is just $125 per person. A grandstand or infield ticket is required for each pre-race pit pass holder. Tickets and pre-race pit passes may be purchased at www.atlantamotorspeedway.com, Ticketmaster or by calling the Atlanta Motor Speedway ticket office. For more information or to purchase today, contact Atlanta Motor Speedway at (770) 946-4211, (877) 9-AMS-TIX or visit www.atlantamotorspeedway.com.